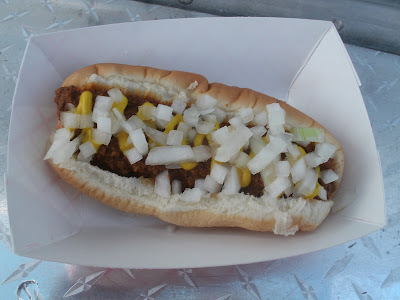 Ever since our trip to Canada last August, I’ve been telling Mrs. Hotdogman she needs to taste our local salute to Canadian cuisine: a Michigan Dog from Archie’s on a Roll. 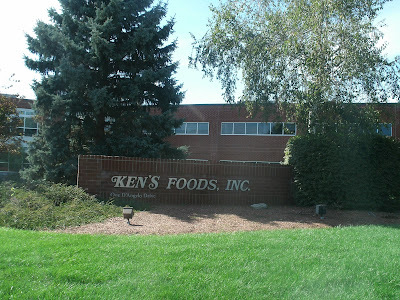 On an early autumn afternoon, we were running some errands and I steered us to the Ken’s Salad Dressing World HQ at 1 D’Angelo Drive in Marlborough, Massachusetts; that also happens to be where Archie’s is parked. On my fist visit to Archie’s, I told you he had a Kurbmaster. 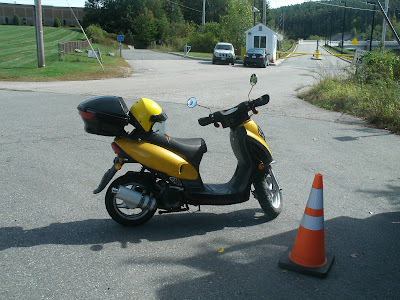 While the truck is a Kurbmaster, that’s not the whole story. Kurbmaster trucks are actually truck bodies put onto large, step van chassis. 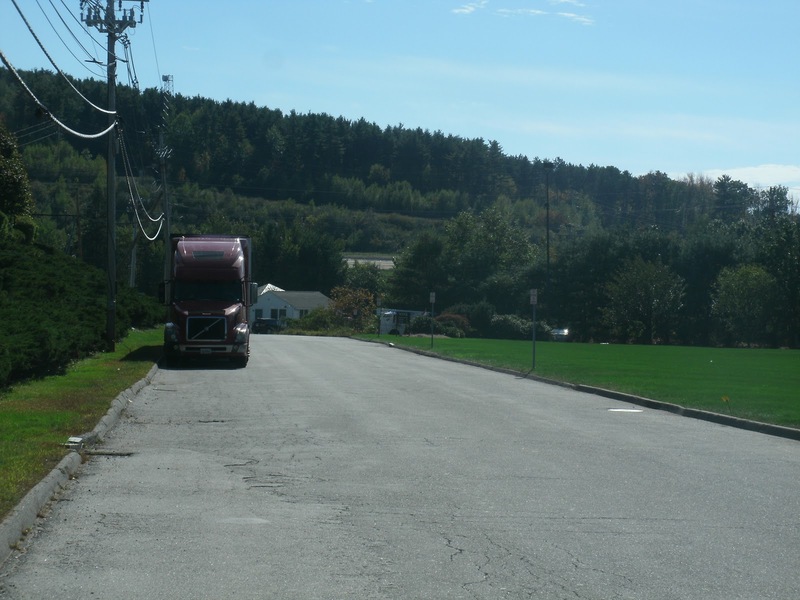 The Kurbmaster is a brand of truck body manufactured by Grumman. Most well known for making military jets and helicopters, Grumman opened its doors in 1930 and made lots of WWII aircraft for the military. 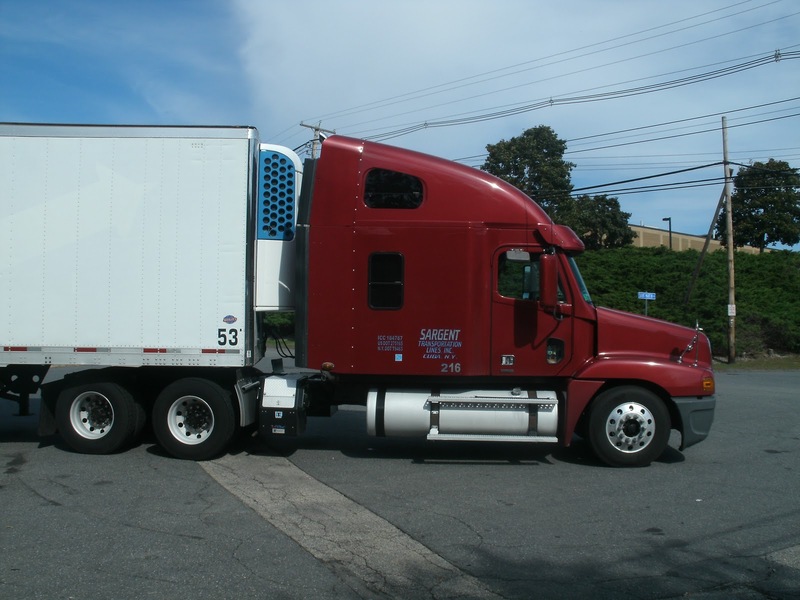 They also manufacture the truck bodies for the US Postal Service. If you see a hot dog truck, or any other big, box shaped van, there’s a pretty good chance it’s a Grumman. 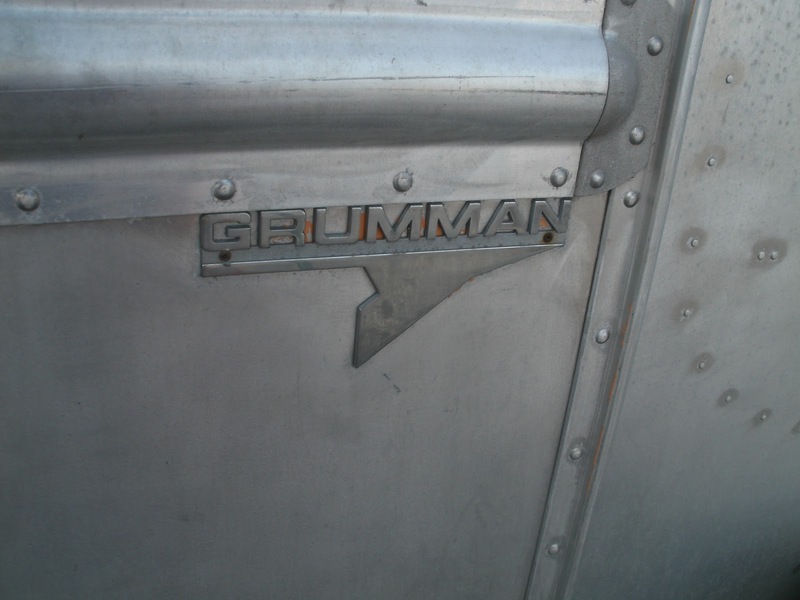 During the post cold war military manufacturing corporate mergers, Grumman was bought by Northrop Corp for $2.1 BILLION. That’s Billion with a “B!” That’s a lot of hot dogs! 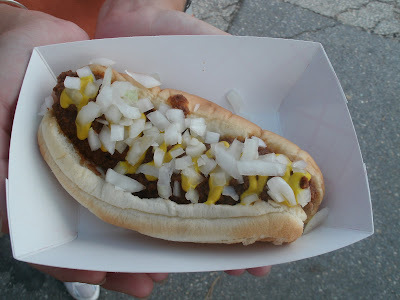 Mrs. Hotdogman was edging to try some of Archie’s Hot Dogs…. …and smaller modes of transportation. Alan “Archie” Archibald was all psyched up because he was recently featured in the national voting for the Food Network’s Great Food Truck Race. 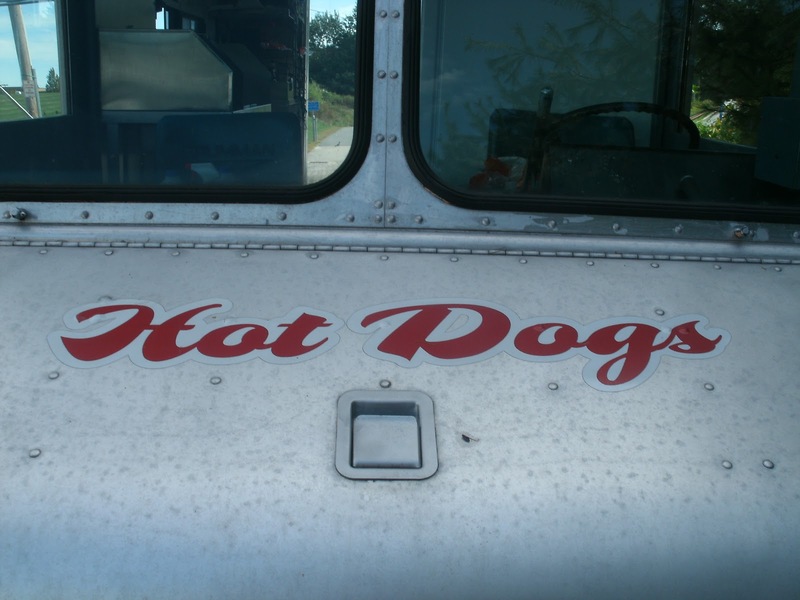 I did a blurb about it on The Hot Dog Truck dot com. 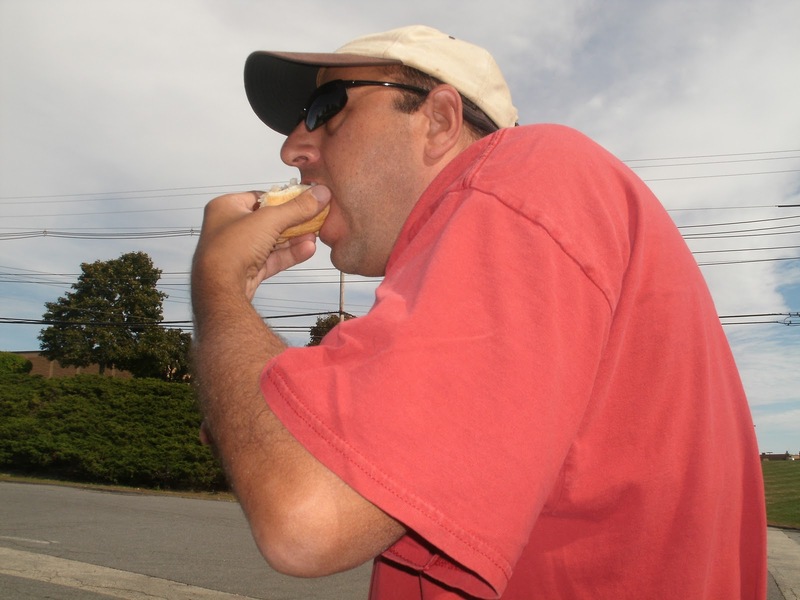 He didn’t win, but he got a lot of publicity for his Hot Dog Truck: he was written up in the Boston Herald and The Daily Northborough and he was featured on the New England Cable News Network (the NECN video is at the bottom of this page). Alan and Mrs. Hotdogman chatted for a bit. Alan’s from Verdun, QC (a part of Montreal) and has family in Terrebonne, QC. Mrs. HDM has family in both places too. RELAX, Alan! We’ll get to the “thumbs up stuff” in a little bit…. In Michigan, they’re called “Coney Island” dogs. Coney Island, Cincinnati, Michigan, Quebec…Confused? Me too! The important thing is they are YUMMY! …and one for Mrs. HDM. 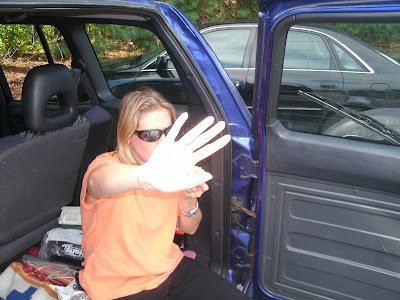 The “dining room” today was the tailgate of Mrs. Hotdogman’s RAV4. While grudgingly allowing me to include her in some Hot Dog Stories, Mrs. HDM STILL doesn’t like me taking pictures of her eating hot dogs! They were so good, we ordered a couple more! 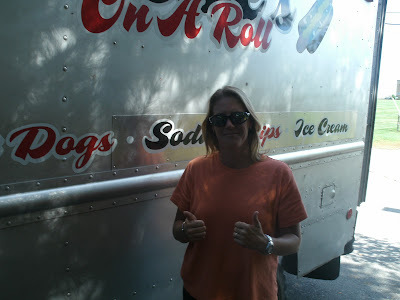 Mrs. Hotdogman gives Archie’s on a Roll TWO THUMBS UP! 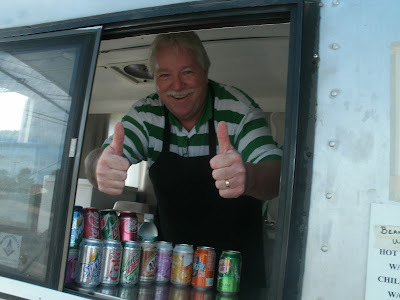 Two Thumbs up from the Hotdogman too! Okay, Alan, NOW you can do the Thumbs up! 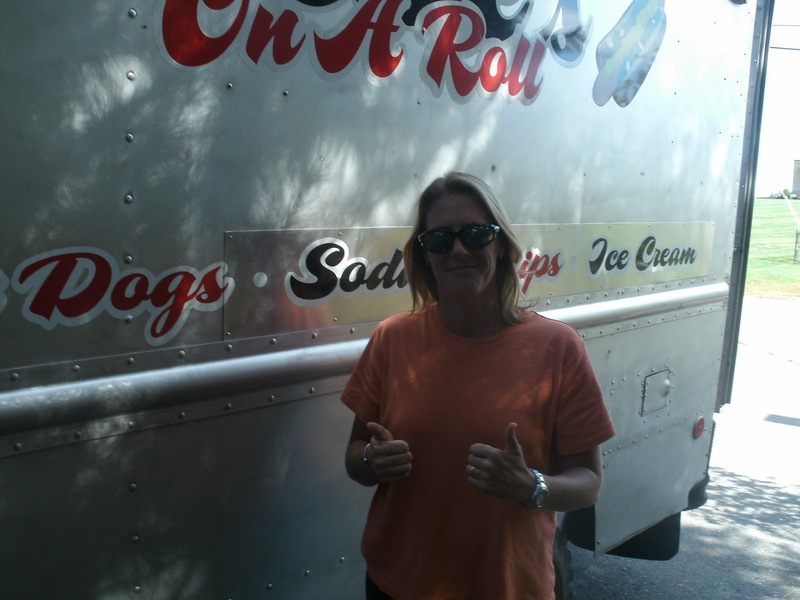 You deserve a pat on the back and a heartfelt “attaboy” for serving up damn fine hot dogs! 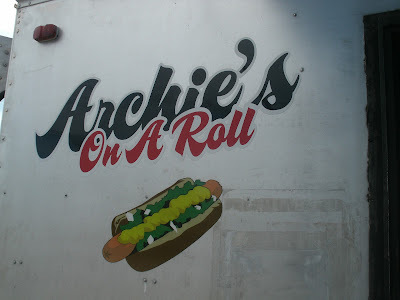 Archie’s is still a “must eat” hot dog joint. The Michigan Sauce is out of this world. Make sure you tell Alan, “the Hotdogman sent me.” Tell him Mrs. Hotdogman says “Bonjour” too. 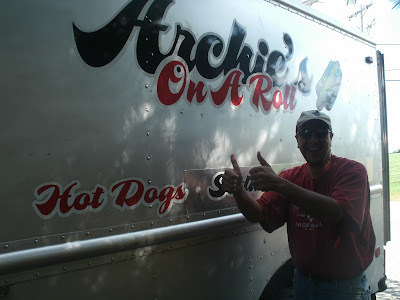 Here’s the NECN video featuring Archie’s on a Roll. Thanks for your kind words! Always great to see you guys and glad you enjoyed my Michigans! Still no word from the Food Network as to where I placed, but we had a lot of fun doing it! Stop by soon… eat lots, I can always make more!